Adventures in Stitching: My scissors -- The Dovos! Continuing where I left off yesterday. 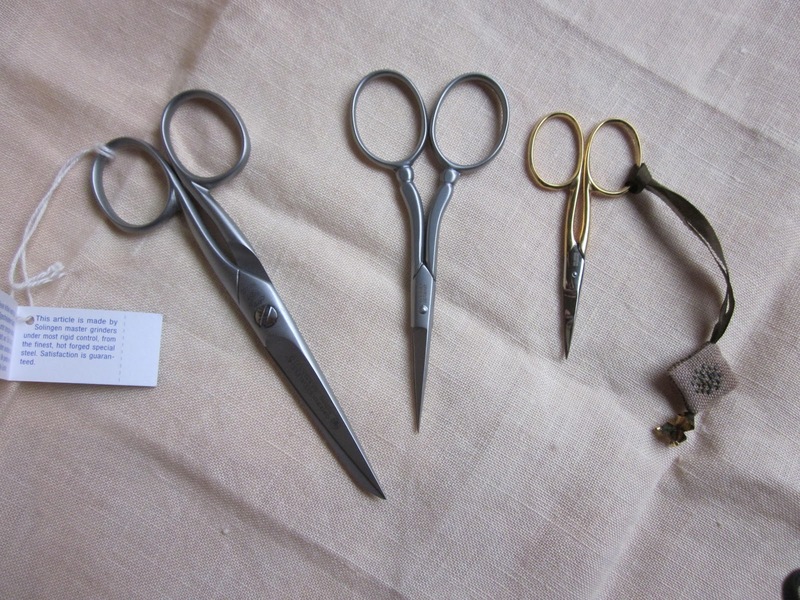 I have a small but growing set of Dovo scissors for Solingen, Germany. My dear husband shares my love of perfect tools (of course his tend to be larger, more expensive, and used on wood) so these are all gifts from him. I've told him that anytime he needs to find a gift for me, *any* Dovo scissor would always be welcome! Dovo scissors are spendy, but so well engineered and perfectly finished that they are a dream to use. 1. 5-inch scissor, these have the most fabulous swooshing action when you close them. A little too large for most embroidery uses, but they are perfect for trimming fabric when trimming light applique fabrics or finishing those small pieces or ornaments. 2. 4-inch embroidery scissors, pewter finish. 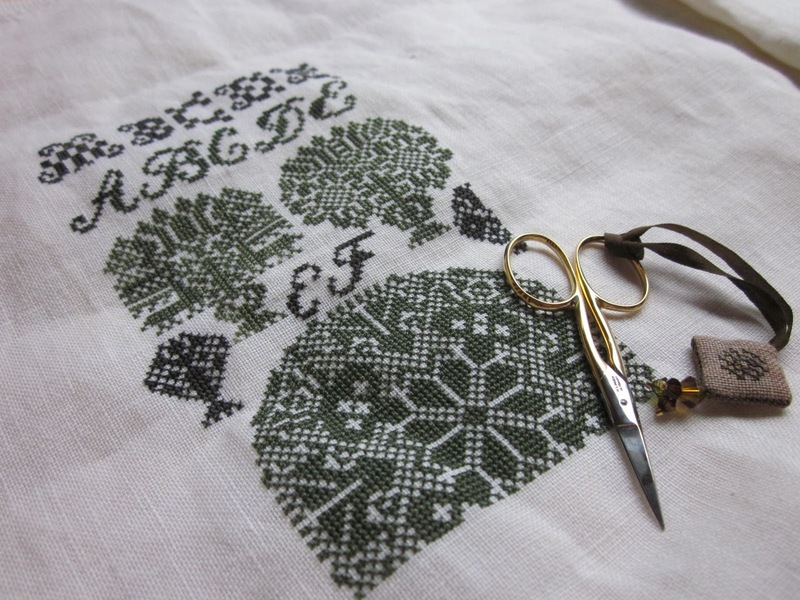 Just a wonderful all-around pair for needlework. Fine blades that are perfectly matched and honed. 3. 2 7/8-inch small gold-finish scissors. These are tiny but great for those small spaces (I've used them more than I want to admit ripping out the small stitches on 40-ct Metta, already). They are really well designed and have a great balance so the action is a lot more like standard-size embroidery scissors than most "minis". Love the Vierlande motifs, gorgeous.